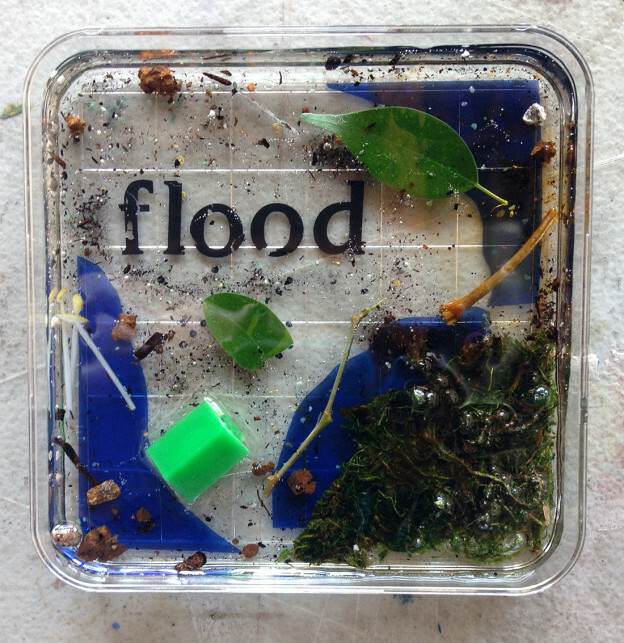 FL00D was initially inspired by the Winter floods that took place in England in 2014. The idea that we have permanently changed our weather system through our own doing is incredibly thought provoking and cannot be ignored. The floods and storms were some of the worst on record and seeing places I know and hold dear destroyed by the weather made me feel both extremely upset and helpless. The work of James Lovelock was also a large inspiration behind this piece and his Gaia theory (the idea that the Earth is one whole complex living organism) is unfortunately now being proven correct. Through the pollution of our own delicate eco-system we have caused untold damage for many generations to come, possibly forever. The piece is accompanied by high speed footage captured at the sites of the various field recordings and was edited together to fit the piece by Emma Jane Richards. “Perhaps the saddest thing is that Gaia will lose as much or more than we do. Not only will wildlife and whole ecosystems go extinct, but in human civilisation the planet has a precious resource. We are not merely a disease; we are, through our intelligence and communication, the nervous system of the planet. Through us, Gaia has seen herself from space, and begins to know her place in the universe.